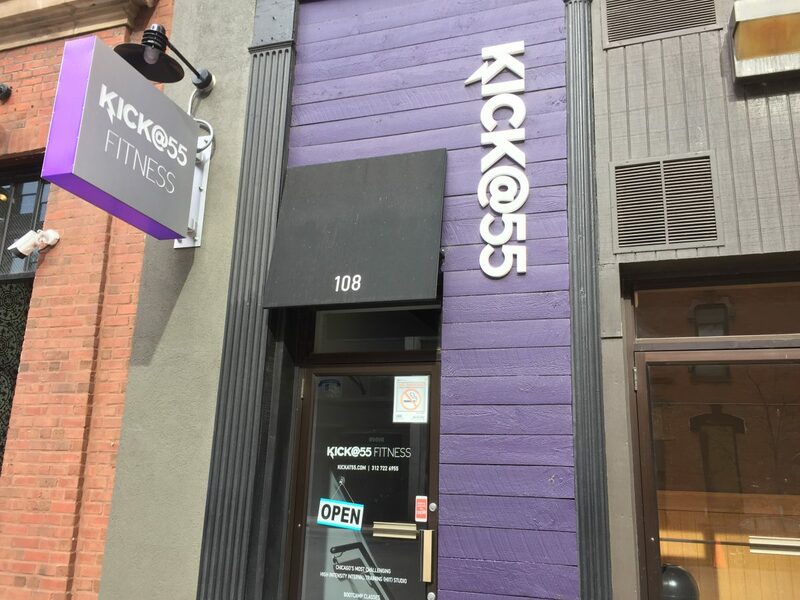 A few weeks ago I received a press release recognizing a boutique studio in the city as one of the best studios in the country, and as a now frequent studio fitness goer, I knew I had to try it for myself. 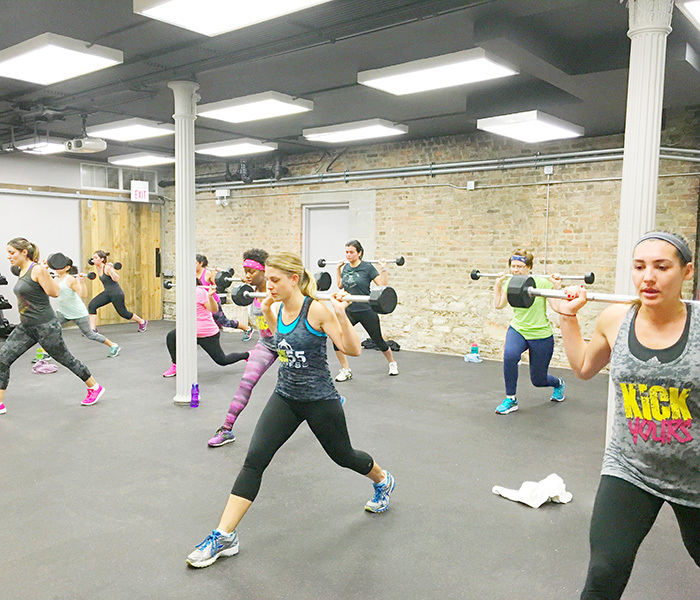 Located in River North, [email protected] is a High-Intensity Interval Training (HIIT) class that offers “55 minutes of high-intensity circuit training with cardio bursts so that we are constantly shocking the body and burning fat while building lean muscle mass,” its website says. Workouts include unique fitness elements such as boxing, dance, burpees, TRX, squat jumps, Pilates, Plyometrics, jump rope, bands, tires with sledgehammers kettlebells and more. HIIT classes are growing in popularity; people can burn 500-700 calories during one class, and lose 15 percent of their body weight in the first four to six months. I had heard a lot of good things about this type of workout, and decided to try a YouTube video first to see what it was all about. While that workout was difficult, it definitely did not prepare me for a [email protected] class. I did a class on a Wednesday afternoon that was considered a full-body workout. 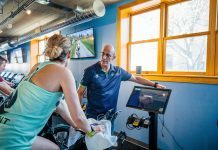 On other days of the week, [email protected] instructors create workouts focusing on specific parts of the body, such as upper body, lower body or core. I thought doing the full-body one would give me a good taste of everything in one class. We started off with a warmup alternating between squats, various kinds of pushups and cardio moves. This was basically the theme of the entire class, actually, with different moves incorporated in each series. We did each interval for a set time, usually three to six minutes, and we’d have to complete as many sets as we could in that time, with reps decreasing in a ladder format. I really liked this format because it took some of the pressure off; while I wanted to push myself as hard as I could, I didn’t feel compelled to keep up with the HIIT pros in the class. At one point in the class, we grabbed weighted barbells and did a series of squats and presses, and I instantly foreshadowed the difficulty of getting out of bed the next morning. I think we must have done at least 200 squats during the class period, and my legs were already shaking halfway through. We also had to run up and down the stairs for a series, and I barely made it up the last time. 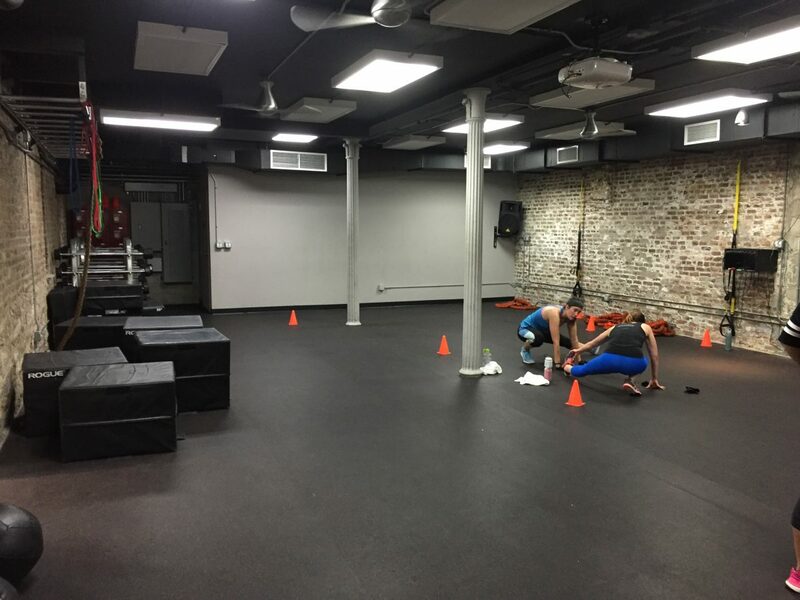 The studio itself is very unique – it’s in the basement of a small building with only two studio rooms, both looking like an older gym or weight room. However, the entire place had modern decorating with a rustic feel, which is unlike the sleek studios you usually see in the suburbs. The locker rooms are very tiny, but if you get there early enough, you’ll definitely have room to get ready for class. My instructor was really awesome; she knew it was my first time, so kept reassuring me throughout the class and kept a closer eye on my form to make sure I was doing everything correctly. She was super personable and approachable, and congratulated me at the end for surviving. Being a fitness instructor requires constant positivity and encouragement, which I bet can be hard to do class after class in one day, but she really made me feel welcome. As I predicted, getting out of bed, out of my car and up the stairs was very difficult for multiple days after the class. While my legs were the sorest, my arms also got a good workout from the pushups, tricep dips and pullups we did. I wish the class would have incorporated a little more core, but I guess I’ll have to go back for an ab day!